Candy Cane Wreath from Really, Are You Serious? Christmas Mad Libs from Are We There Yet? Whew! I hope that these Christmas Ideas help get you through this busy month! No matter what things get done or don’t get done on your list, remember JOY. Remember the wonder and the hope and the celebration that is Jesus coming to earth as a baby, fully man and fully God. He came for YOU and he knows your name. Don’t lose sight of that in the hustle and the bustle. If you want to come wander and wonder together, join my Make Him Room Facebook group! For more ideas, follow my Christmas with the Family Board. This is such a great list! Thanks for including us- I can’t wait to read all the tips and posts from everyone else! You’re welcome! There are some great links and I was glad to include yours! Thanks so much for including my post with this collection. Will definitely have to check out some of the other links! Thanks! Now I need to get on some of these things myself! 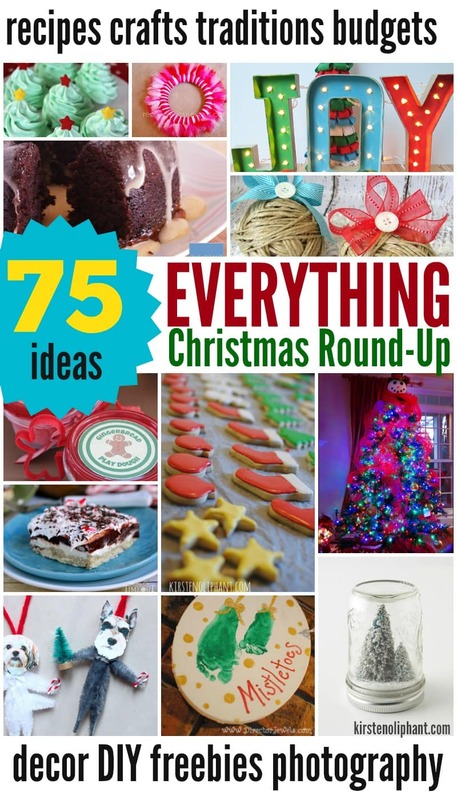 What a great list for Christmas ideas! I’m going to use a ton of these ideas, thank you! What a great round up! So many ideas!